Saw this pink elephant all lit up on a lawn as I drove the grandkids home from swimming practice. I drove around the block to try to get s better photo on the phone and the kids groaned. I thought it was blogworthy. Clintonville. On Calumet. In Columbus. That’s a lot of Cs. I saw this Christmas Tree and the couch waiting for pick up. Some people put their trees out right after Christmas. Maybe the trees have up since Thanksgiving and the needles are dropping like crazy. 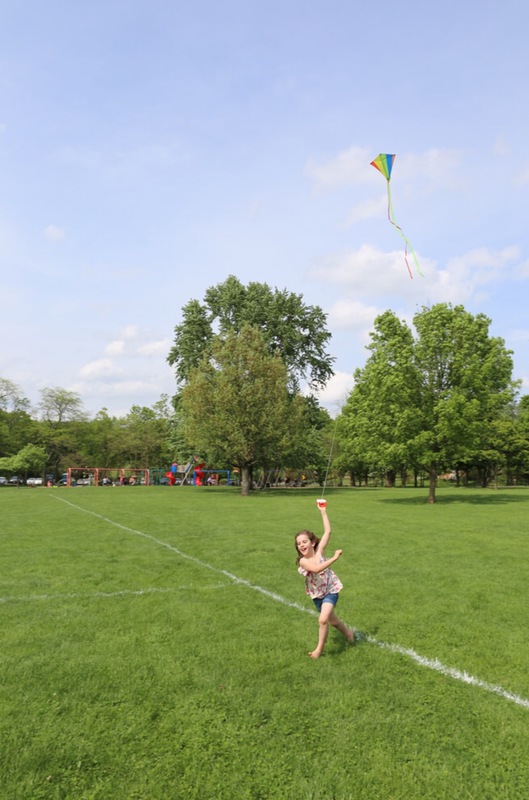 Kite flying on Sunday in the park. Strolling with Charles (1) around the neighborhood. Hot summer sun. The colors so rich and alive. I appreciate the gardeners’ efforts. Back at the house on the front porch he said “bubble” and pointed to the chair.Underneath was a red plastic bear with bubble stuff. You had to squeeze the Bear’s stomach and it took awhile for me to get the hang of it. A pumpkin decoration with the top off and filled with a chrysanthemum plant. Do they have mumkins where you live? It was new to me. I guess you could turn it around after Halloween for Thanksgiving time so the Jack-o-Lantern face is in the back. I thought it was cheerful. When I googled the word Mumkin, I came up with a totally different definition from the Urban Dictionary. Anyway it was cute and the mums were all still buds. Maybe it has since bloomed. I will have to ask. What will they think of next? 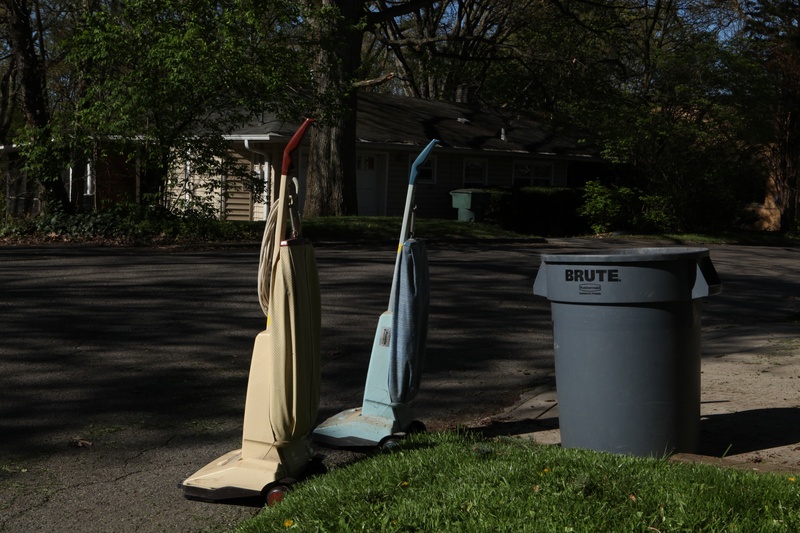 My family always called these vacuum cleaners but in Pennsylvania you “run the sweeper”. These two are in Clintonville (Laura’s Neighborhood) when we walked on Saturday. The sun shone down on them as they stood at attention. A portfolio of my work would be incomplete with the garbage studies.